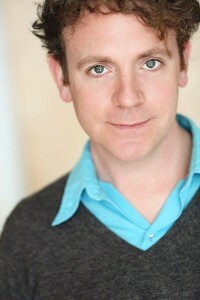 Since graduating from Wake Forest in 1999, theatre major Drew Droege has immersed himself in the Los Angeles comedy scene, directing, performing and teaching at The Groundlings, an improvisational and sketch comedy theatre/school whose alumni include Will Ferrell, Kristen Wiig and Melissa McCarthy. But the work that’s earned him a cult following, he says, are his entertaining YouTube “Chloe videos” in which he dons blonde wig and make-up to impersonate actress and perpetual name-dropper Chloe Sevigny. ‘You can’t plan what’s going to be funny,’ says Droege. Droege came to Wake Forest from the small town of Lincolnton, N.C., with plans to major in English and teach. He found himself spending more and more time in the theatre department, eventually directing plays and performing in numerous shows. Always the quiet one in the family with his nose in a book, he says theatre brought out his inner-extrovert and boosted his confidence.